Often the overall security of a software application is impacted due to loopholes in the operating systems, networks, system configuration, third-party services, or endpoints. The QA professionals perform penetration testing to identify the loopholes that make the software vulnerable to targeted security attacks by gaining access to the application’s features and data. The QA professionals need to combine manual and automated ethical hacking techniques to identify all security vulnerability in the application. But they must perform penetration testing continuously throughout the software development life cycle (SDLC) to make the application 100% secure. That is why; it is important for software QA testing professionals to know the pros and cons of handy penetration testing tools. The commercial penetration testing tool supports Windows, Linux and OS X. It can also be used for identifying the security vulnerabilities in web application, servers and networks. Metasploit is designed based on a concept called exploit. Exploit is written as a code that can enter the targeted system by surpassing its security features. After entering into the system, exploit run a code called payload additionally to perform a variety of operations on the targeted system. Hence, Metasploit makes it easier for testers to perform end-to-end penetration testing based on custom code. At the same time, it allows testing professionals to use a command-line tool and a GUI clickable interface. Wireshark is designed specifically as a network protocol analyzer. It enables testers to gather in-depth information about a wide range of network protocols. 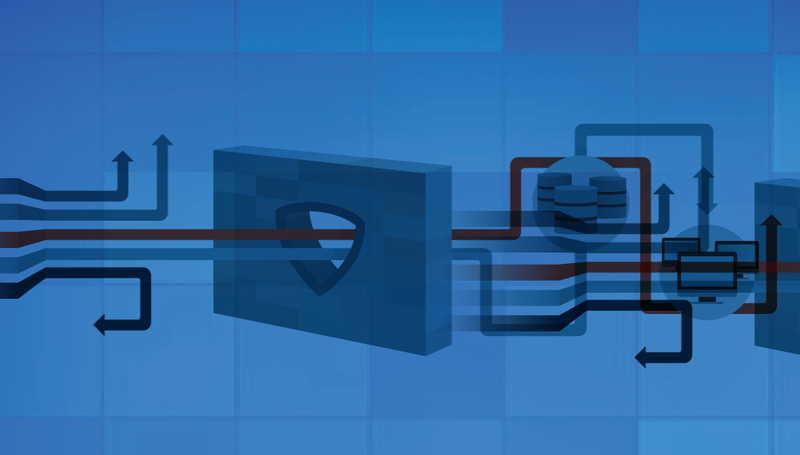 In addition to supporting multiple operating systems, Wireshark provides a three-pane packet browser, reads and writes different capture file formats, decompresses compressed file formats, and provides decryption support for many protocols. Also, it allows users to browse the captured network data efficiently, use advanced display filters, and simplify test data analysis by applying color rules to packet lists. As a web application attack and audit framework, w3af is designed with features to identify and exploit all vulnerabilities in web applications. It supports Windows, Linux and OS X, and allows users to choose from both console and graphical user interfaces. At the same time, the tool allows users to integrate web and proxy servers into the code. Also, it facilitates fast HTTP requests, along with allowing testers to inject payloads into different types of HTTP requests. The commercial penetration testing tool enables users to assess the security of their software through advanced techniques used by cyber criminals. Core Impact Pro further allows software QA testers to use both command-line and GUI clickable interfaces. But it supports only Windows platform. The testers can use Core Impact Pro to identify security vulnerabilities in web application, mobile apps, and network and network devices. The wireless penetration testing capabilities of the tool further enables users to assess the vulnerability of the application to the real-work security attacks executed over Wi-Fi networks. It is one of the advanced tools available for identifying all security vulnerabilities in applications. The users have option to install Nessus on their system or use it as a cloud-hosted solution. They can further protect the IT infrastructure by performing web application scanning, vulnerability scans, malware detection, and configuration and compliance checks. Nessus further supports both agent-based and agent-less scanning to enable users to scan all their resources quickly and frequently. Also, the tool makes it easier for testing professionals to filter the data, generate reports, and share the test data with other stakeholders in the project. Despite being a free security testing tool, Zed Attack Proxy is maintained by a large and active community of international volunteers. It is designed with feature to help users to identify security vulnerabilities in a web application at the time of development and testing. Zed Attack Proxy further allows testers to perform manual penetration testing efficiently. The users can further take advantage of key features of Zed Attack Proxy including automated scanner, passive scanner, forced browsing, dynamic SSL certificates, and REST-based API. In addition to being cross-platform, Zed Attack Proxy also supports several commonly used scripting languages. The open source penetration testing tool is designed with features to automate the SQL injection and database takeover processes. Sqlmap supports many widely used databases, and allows testers to connect to a database through SQL injection. Also, it supports six distinct SQL injection techniques like time-based blind, boolean-based blind, UNION query-based, error-based, stacked queries and out-of-band. Sqlmap further allows penetration testers to enumerate users, roles, privileges, password hashes, databases, tables and columns. The testing professionals can use Retina to perform both penetration testing and vulnerability management of the entire environment of an organization. The commercial tool further enables users to assess the security of the IT environment consistently by scheduling vulnerability assessments. It can also be used for identifying network vulnerabilities and manage network security. Also, Retina makes it easier for testing professionals to detect configuration issues, and missing patches across application, devices, operating systems and networks. The open source penetration testing tool is designed specifically to detect the security vulnerabilities in web applications. It provides a GUI interface, while supporting Windows, Linux and OS X. The tool further allows penetration tester to assess the security of a web application based on client-side attack vectors. BeEF combines multiple web browsers, and use them as beachheads to perform targeted security attacks against the application. Also, the users have option to execute security attacks against the system from the browser context. The open source penetration testing tool provides a command line interface, while supporting Windows, Linux and OS X. Unlike other tools, Social Engineering Framework allows testers to detect security vulnerabilities in a software application created by humans. Nowadays, most enterprises allow users to access applications and data on their own devices. So the application and data become vulnerable to security attacks due to mistakes conducted by users intentionally or innocently. The framework requires testers to use techniques like fishing and ethical hacking to check if the employees reveal sensitive business data to unknown people, and affect the security of the software and system adversely. On the whole, the software QA testing professionals must perform elaborate penetration testing to achieve a number of predefined objectives. But these penetration testing tools may not meet all needs and objects of the software testing project. Hence, the testers must assess various penetration testing tools, and pick the one that complements both their needs and budget. The testing professionals must also strategise how to coordinate the manual and automated testing efforts to get better results.